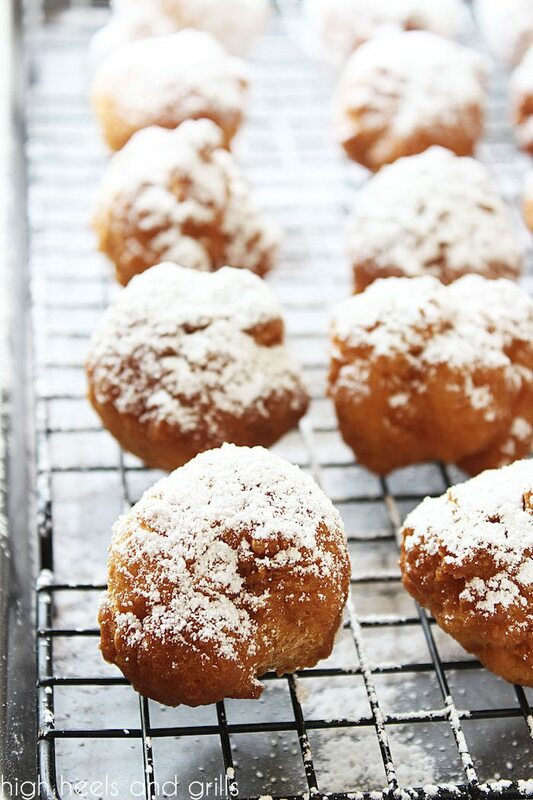 These Biscuit Beignets are made totally from scratch, but don’t let that intimidate you! They are so easy to make with only a few ingredients and taste just like the ones from my favorite restaurant. You will definitely keep coming back for more! I am giddy over these Biscuit Beignets. Before you cross them off as just another beignet recipe using prepackaged biscuit dough, stop right there! That’s not what these are at all. They’re made from scratch and taste way better than the ones I just mentioned. Zach didn’t have to be into work until later in the day last week, so we had a little brunch date at a new-to-us restaurant in town, Another Broken Egg Cafe. As we browsed the menu, Zach remembered that everybody at work told him that he had to try the Biscuit Beignets there because they were to die for. Sidenote: we just got back from New Orleans a few weeks ago, where we were able to taste the ever-famous Cafe du Monde’s beignets and they were amazing, so while I was hoping these Biscuit Beignets were good, I wasn’t expecting them to be that good. Guys, they were the kind of thing you take a bite of and then your eyes get big as you look at whoever is with you and you both just know that you found something you’re going to crave for the rest of forever. We couldn’t believe the jackpot we had just hit! 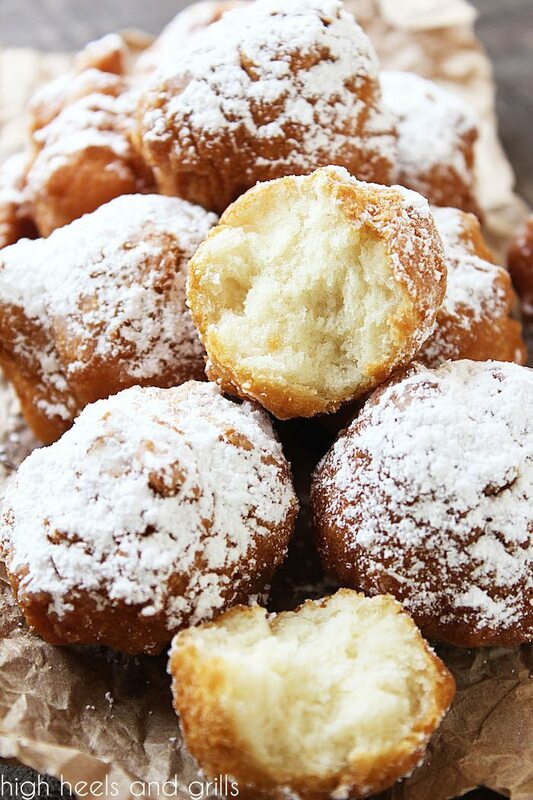 These Biscuit Beignets are made totally from scratch, but don't let that intimidate you! They are so easy to make with only a few ingredients and taste just like the ones from my favorite restaurant. You will definitely keep coming back for more! Heat 2-3 inches worth of vegetable oil in a saucepan to 360°F. While oil is heating, sift together the flour, baking powder, sugar, and salt in a large mixing bowl. Transfer to a food processor, add the butter pats, and pulse 5 or 6 times until the mixture resembles fine crumbs. Return the mixture to the bowl and add milk. Stir with a fork until fully combined. Turn the dough out onto a well-floured surface and pat it down into a rough rectangle. Fold it over gently and pat it down again. Repeat this process 6-8 times, just until dough is barely no longer sticky. Pinch off quarter-sized pieces of dough and drop in the oil. Fry until golden brown and then flip. Fry again until golden brown. Turn out your beignets onto a plate lined with a paper towel to let the excess oil drain off. 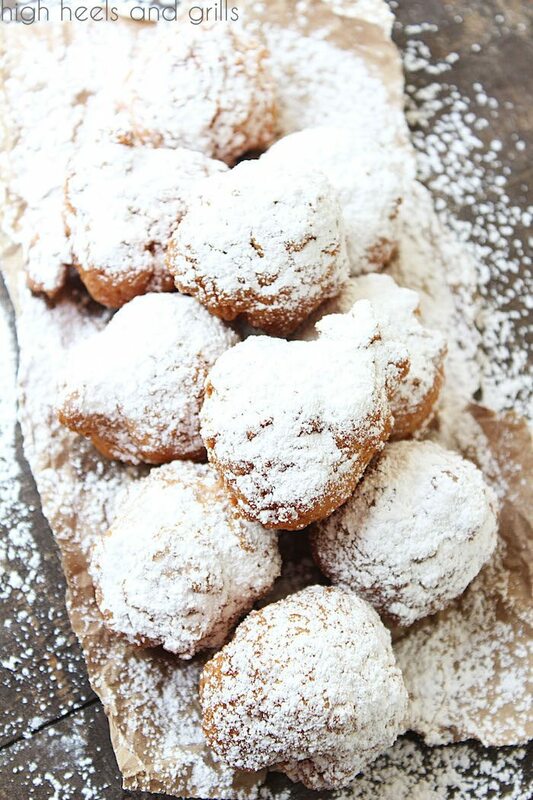 Let cool slightly and then sift powdered sugar over your beignets. For best results, serve warm. Recipe adapted from NY Times. These look SO delicious! I’ve never had a beignet and I need to change that! I am in love with your biscuit beignets recipe! 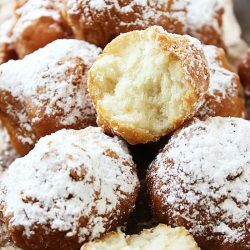 I ususallly get beignets from my local bakery, but I’ve been working on saving money… I’ll definitely try your recipe to continue practicing frugal living while still having my favorite dessert. Can’t wait to try it out!